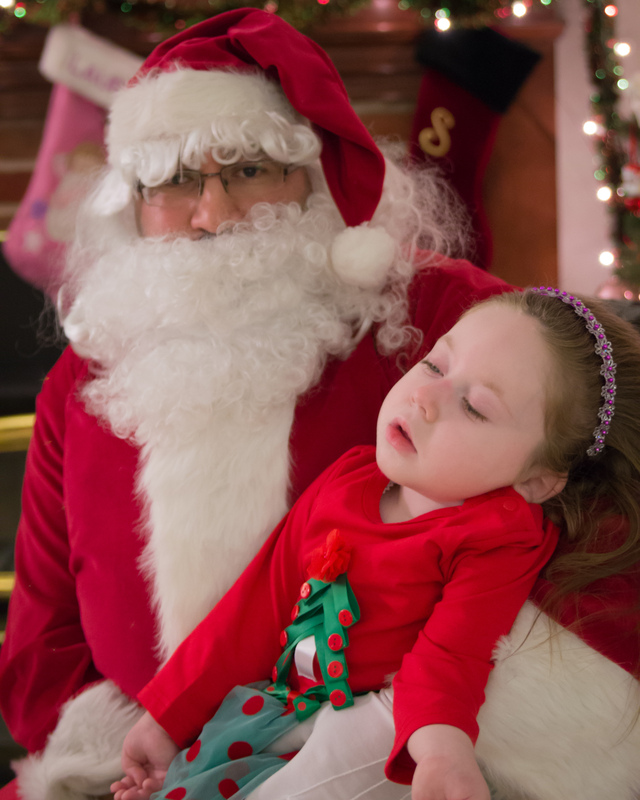 Lauren had a very special visitor this past Friday, Santa Claus! 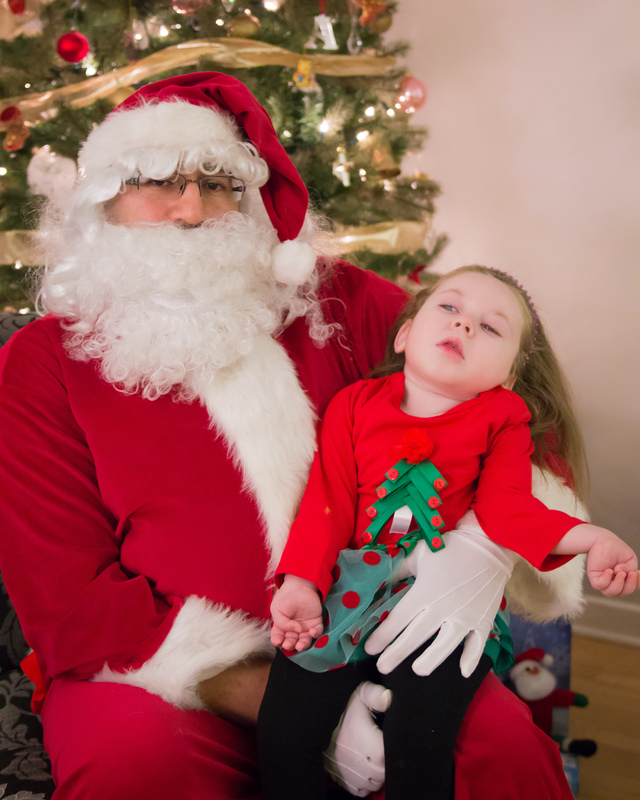 Lauren has been sick with the flu and colds since November and missed out on her regular visit to Santa at the shopping mall this year. We were a little sad but had come to terms with the idea that we may miss out on a family picture with Santa this year. Lauren was just too exhausted and sick to take out into an overcrowded mall. As luck may have it, my good friend Ara had some very special connections with the jolly man himself and was able to arrange an exclusive visit for Lauren with Santa just after the holidays (as we all know Christmas is a pretty busy time for Santa). 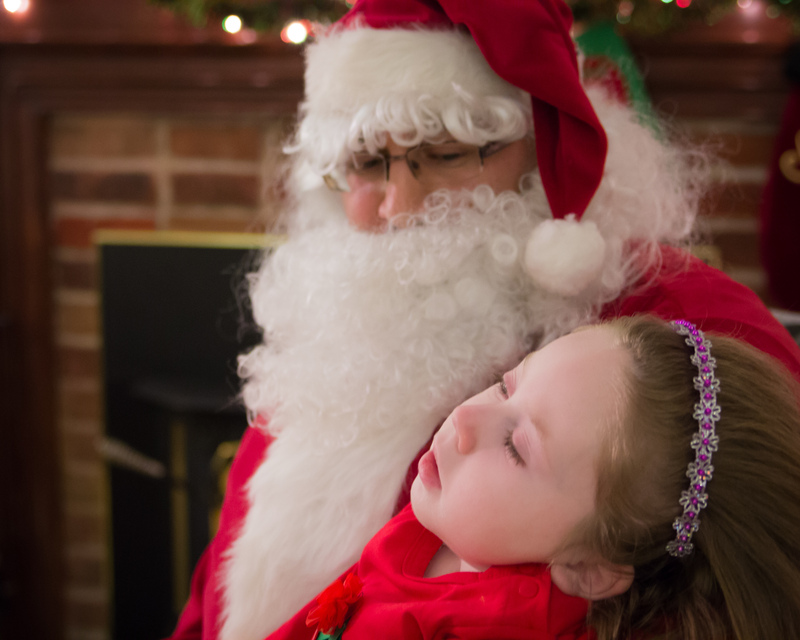 Lauren shared her wishes with him, and was very pleased to be one of the first kids in 2014 to get to sit in Santa’s Lap. It was a perfect moment, Lauren was calm, happy and alert. A shopping mall Santa visit couldn’t even come close to how special this moment was, a memory that our family will hold tight. What a darling little girl with a very special family. How absolutely beautiful. We can keep the beauty of Christmas all year and certainly exend it to this weekend in January, maybe even a weekend in July. Lauren as always radiates her own particular loveliness. Buddy looks curious and intruigued. 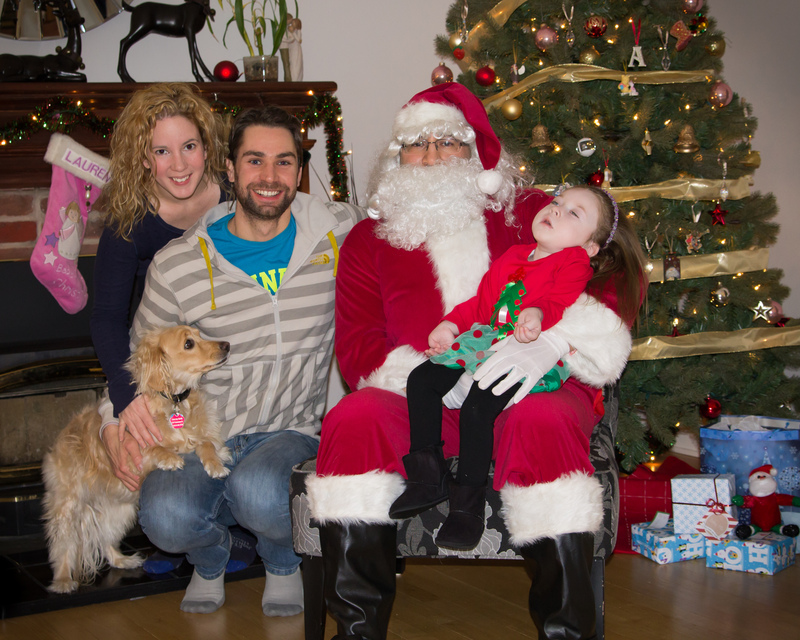 Thanks for sharing your family’s special Christmas time with Santa. So sweet there are a lot of special people out there was so nice to have Santa for your little one,she looks so sweet and I should say also mommy and daddy are looking great too.Wishing you all a Blessed New Year.